Opened in January 1996, the mission of the Singapore Art Museum (SAM) is to preserve and present the art histories and contemporary art practices of Singapore and the Southeast Asian region. SAM has amassed one of the world's largest public collection of modern and contemporary Southeast Asian artworks. Housed in a restored 19th century mission school, the museum draws from its collection and collaborates with leading international museums to present shows covering both local and international art practices, as well as cutting edge art expressions. Contemporary art of the region is given international exposure through the museum's travelling exhibition programme and collection loan. Through strategic alliances with international arts and cultural institutions, SAM facilitates visual arts education, exchange, research and development within the region and internationally. The museum has forged partnerships with institutions such as the Centre Pompidou, Guggenheim Museum, Shanghai Art Museum, Seoul National University Museum of Art, Stedelijk Museum, Bonn Art Museum, Centre of International Modern Art, National Museum of India, Hong Kong Museum of Art, Asia Society in New York, Fukuoka Art Museum and Queensland Art Gallery. With Singapore becoming a global city for the arts, SAM's international networks bring about a confluence of ideas, and create a dynamic arts scene invigorated by international flows of ideas, talents, knowledge and resources. Community outreach continues to be an important area of the Museum's function. Through the Museum's exhibition programmes as well as its education and public programmes which cover a diversity of art trends and practices, fringe activities and public lectures, SAM Museum promotes awareness and appreciation of contemporary art and encourages the growth of an active and stimulating cultural environment in Singapore. The museum's extension building, SAM at 8Q, was opened in August 2008, expanding the museum's contemporary art space to present fresh, multi-disciplinary, interactive and community-oriented programming. Today, SAM is a place where the public can directly experience the diversity of contemporary art practices ranging from painting and sculpture, to installation, film & video, photography, new media, performance art and sound art, experience the work and ideas of living artists of Southeast Asia, and relate to the region's unique aesthetic and social context. 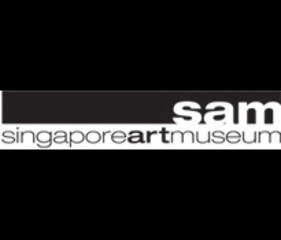 SAM is also the organiser of the Singapore Biennale 2011.